me of the individuals who went above and beyond to make the Y a better place, and to express appreciation to the Y’s board members and other volunteers. Sam Casalano, YMCA CEO, spoke about the Y’s mission, which is to put Christian principles into practice through programs that build healthy spirit, mind, and body for all. He emphasized that the mission is centered on balance and a holistic approach. 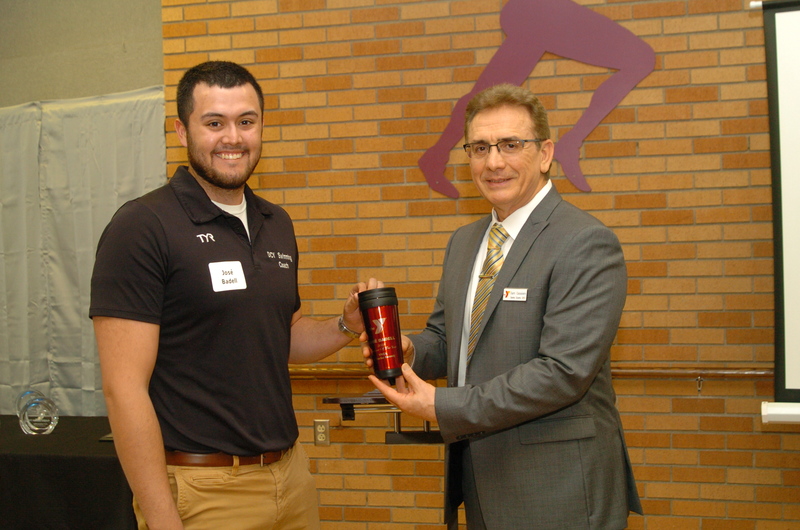 The Darke County Y’s Volunteer of the Year award was presented to Jose Badell. Jose was a member of the Y’s swim team for 12 years, and has 30 seasons of swim competition under his belt. He stepped up to volunteer as the Darke County Sharks head coach this year. 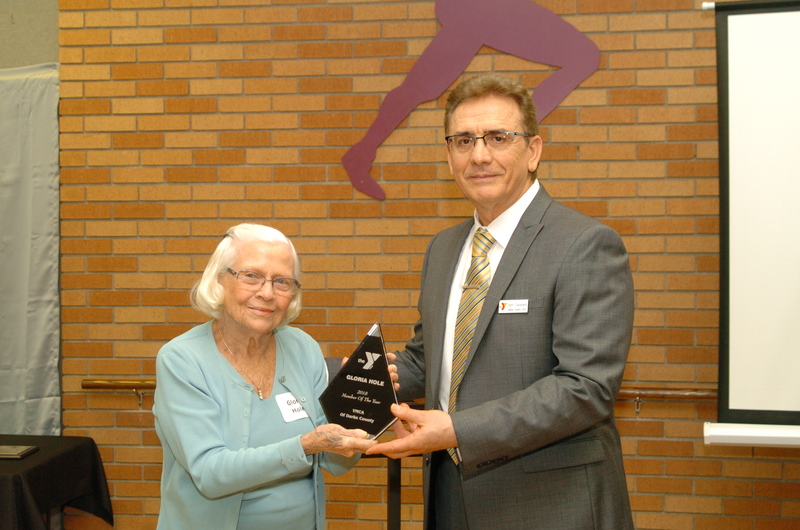 The Y’s Member of the Year award was presented to Gloria Hole. Gloria’s late husband, Bill, gave a lifetime of service to the Darke County Y, and Gloria has chosen to continue that legacy with her dedication, loyalty and support. She also is active at the Y, taking senior fitness classes twice a week. The Y also thanked outgoing board member Alex Warner, and welcomed new board members Laurie White and Denis Short. Casalano also recognized Champions of Hope, who gave $5,000 or more to the Y in 2018: Matt and Angie Arnold, Dennis and Shirla Neff, Gloria Hole, Jeff Hole, GTI, Wes and Patti Jetter, Second National Bank, Midmark Corporation, and Financial Achievement Services. The meeting concluded with a reminder that the Y’s message is grounded in love.